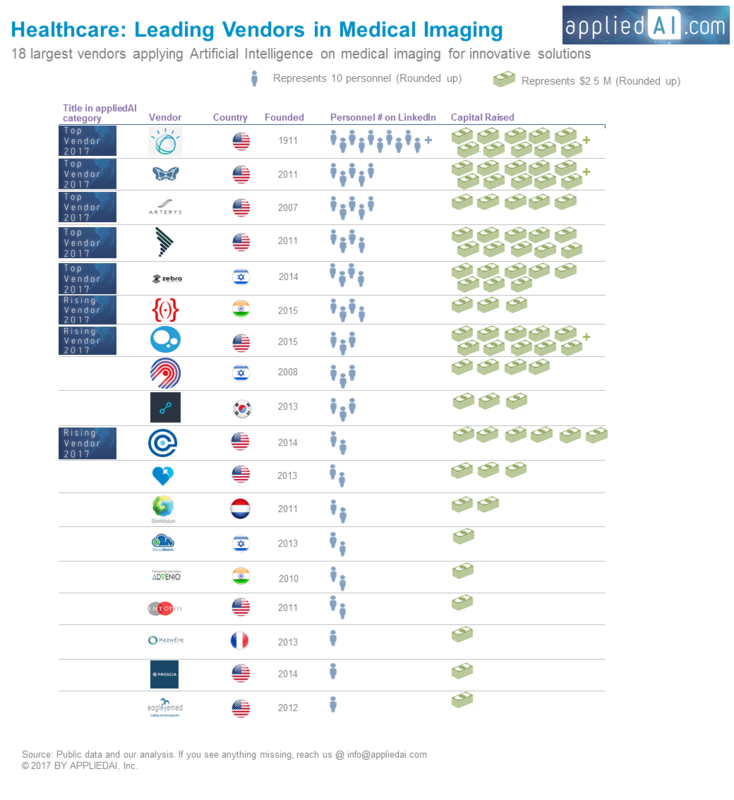 Drug discovery solutions allow companies to develop innovative medicines in immuno-oncology, neuroscience, and rare diseases with high unmet need. 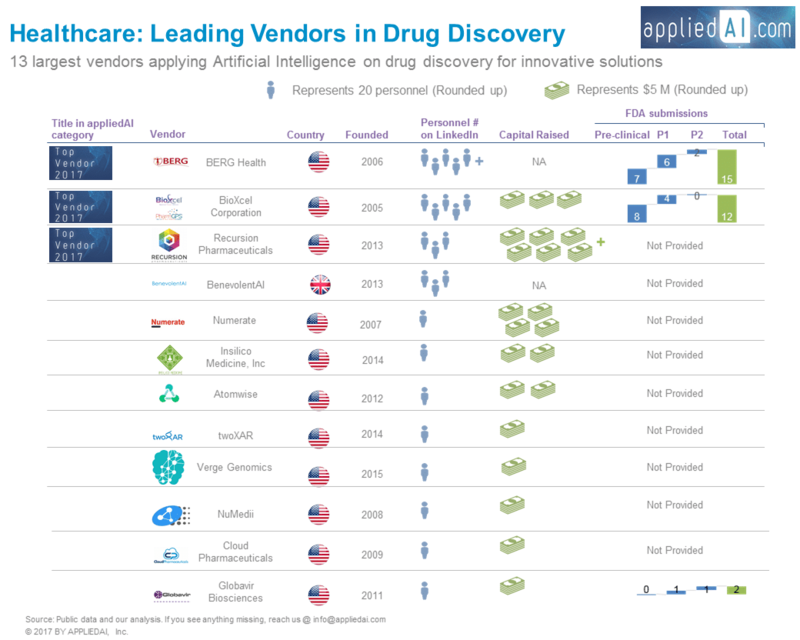 So the research and development on drug can result in a disruptive change that will impact pharma productivity and innovation to benefit the entire healthcare ecosystem. 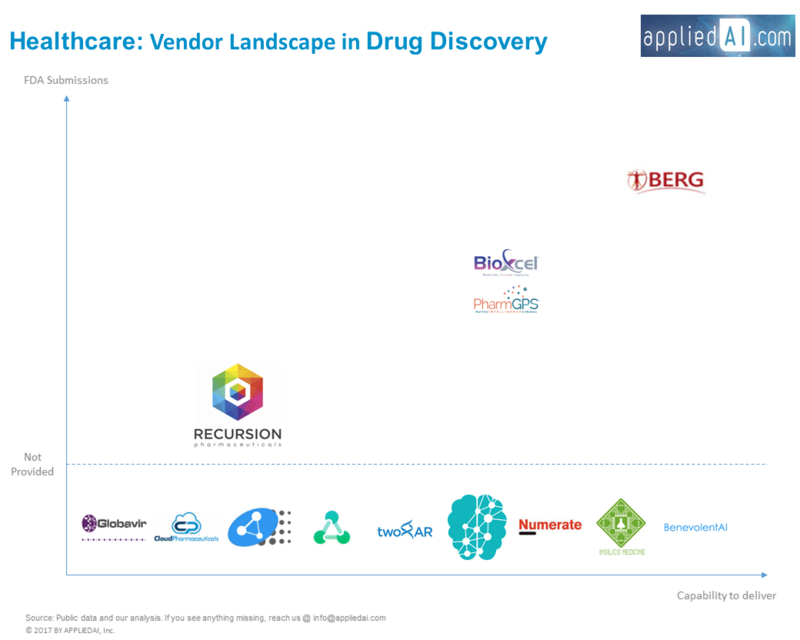 Based on objective metrics: company size and FDA submission score (to see detailed information about FDA submission score analysis please see the vendor landscape here), Berg Health, BioXcel Corporation, Recursion Pharmaceuticals, are top vendors in drug discovery. 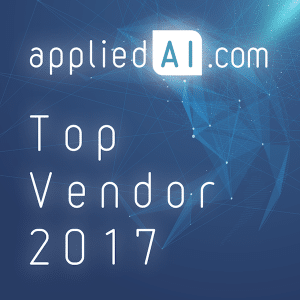 Please see our methodology for details on how we select vendors to this list and how we pick top vendors. Berg Health has 13 partnerships with different kinds of institutions such as research centers, hospitals, colleges and startups. Cancer Research and Biostatistics, Genomics England and University of Miami Miller School of Medicine are some of its partners. 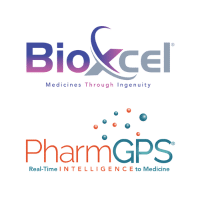 BioXcel Corporation has partnership with Alnylam to discover novel RNAi therapeutic products. Also, they have partnerships with Centrexion, Pronutria and Takeda. Additionally, they are one of the best funded and largest companies in the space in terms of headcount. 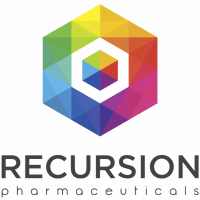 Recursion Pharmaceuticals aims to produce 100 new treatments by 2025. They raised 60.8M within 3 years indicating strong investor interest.